(a) Contents of a Motion; Response; Reply. (1) Request for Relief. A request for an order or other relief is made by filing a motion with the district or BAP clerk, with proof of service on the other parties to the appeal. (A) Grounds and the Relief Sought. A motion must state with particularity the grounds for the motion, the relief sought, and the legal argument necessary to support it. (B) Motion to Expedite an Appeal. A motion to expedite an appeal must explain what justifies considering the appeal ahead of other matters. If the district court or BAP grants the motion, it may accelerate the time to transmit the record, the deadline for filing briefs and other documents, oral argument, and the resolution of the appeal. A motion to expedite an appeal may be filed as an emergency motion under subdivision (d). (i) Any affidavit or other document necessary to support a motion must be served and filed with the motion. 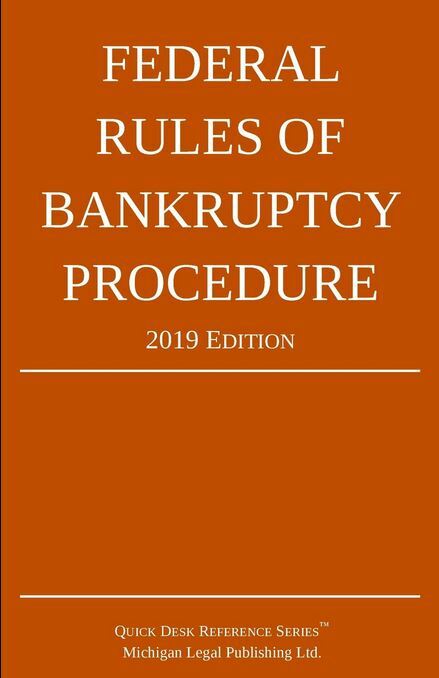 (iii) A motion seeking substantive relief must include a copy of the bankruptcy court’s judgment, order, or decree, and any accompanying opinion as a separate exhibit. (D) Documents Barred or Not Required. (ii) Unless the court orders otherwise, a notice of motion or a proposed order is not required. (B) the movant may file a reply to a response within 7 days after service of the response, but may only address matters raised in the response. (b) Disposition of a Motion for a Procedural Order. The district court or BAP may rule on a motion for a procedural order–including a motion under Rule 9006(b) or (c)–at any time without awaiting a response. A party adversely affected by the ruling may move to reconsider, vacate, or modify it within 7 days after the procedural order is served. (c) Oral Argument. A motion will be decided without oral argument unless the district court or BAP orders otherwise. (1) Noting the Emergency. When a movant requests expedited action on a motion because irreparable harm would occur during the time needed to consider a response, the movant must insert the word “Emergency” before the title of the motion. (D) be served as prescribed by Rule 8011. (3) Notifying Opposing Parties. Before filing an emergency motion, the movant must make every practicable effort to notify opposing counsel and any unrepresented parties in time for them to respond. The affidavit accompanying the emergency motion must state when and how notice was given or state why giving it was impracticable. (e) Power of a Single Bap Judge to Entertain a Motion. (1) Single Judge’s Authority. A BAP judge may act alone on any motion, but may not dismiss or otherwise determine an appeal, deny a motion for leave to appeal, or deny a motion for a stay pending appeal if denial would make the appeal moot. (2) Reviewing a Single Judge’s Action. The BAP may review a single judge’s action, either on its own motion or on a party’s motion. (f) Form of Documents; Length Limits; Number of Copies. (1) Format of a Paper Document. Rule 27(d)(1) F.R.App.P. applies in the district court or BAP to a paper version of a motion, response, or reply. (2) Format of an Electronically Filed Document. A motion, response, or reply filed electronically must comply with the requirements for a paper version regarding covers, line spacing, margins, typeface, and type style. It must also comply with the length limits under paragraph (3). (D) a handwritten or typewritten reply must not exceed 10 pages. (4) Paper Copies. Paper copies must be provided only if required by local rule or by an order in a particular case. (g) Intervening in an Appeal. Unless a statute provides otherwise, an entity that seeks to intervene in an appeal pending in the district court or BAP must move for leave to intervene and serve a copy of the motion on the parties to the appeal. The motion or other notice of intervention authorized by statute must be filed within 30 days after the appeal is docketed. It must concisely state the movant’s interest, the grounds for intervention, whether intervention was sought in the bankruptcy court, why intervention is being sought at this stage of the proceeding, and why participating as an amicus curiae would not be adequate.